The Aquarium lights up and has a selection of tropical fish. 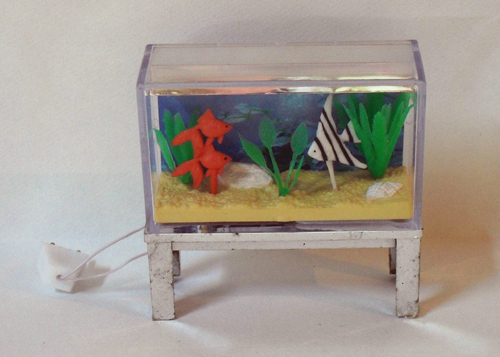 The Aquarium has been made by Lundby for many years, it was once a simple tank, much smaller than this one. 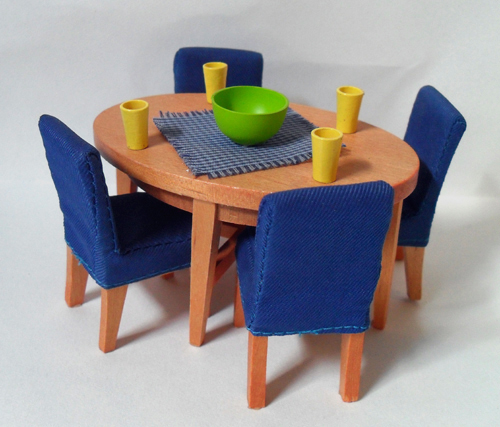 The blue dining room chairs and oval wooden table, ideal for those family dinners. It comes with a matching blue central table mat and yellow beakers and a very bright green bowl. 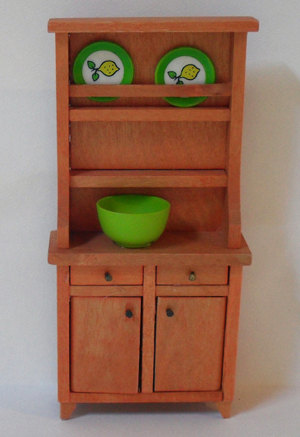 This smart little dresser is all ready to put your bits and pieces on, in the dining room. 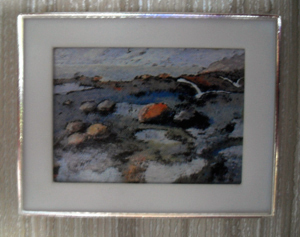 Its not too big, and I like the little bar on the shelf to stop the plates from falling off. The drawers and cupboard doors open, for more storage space.